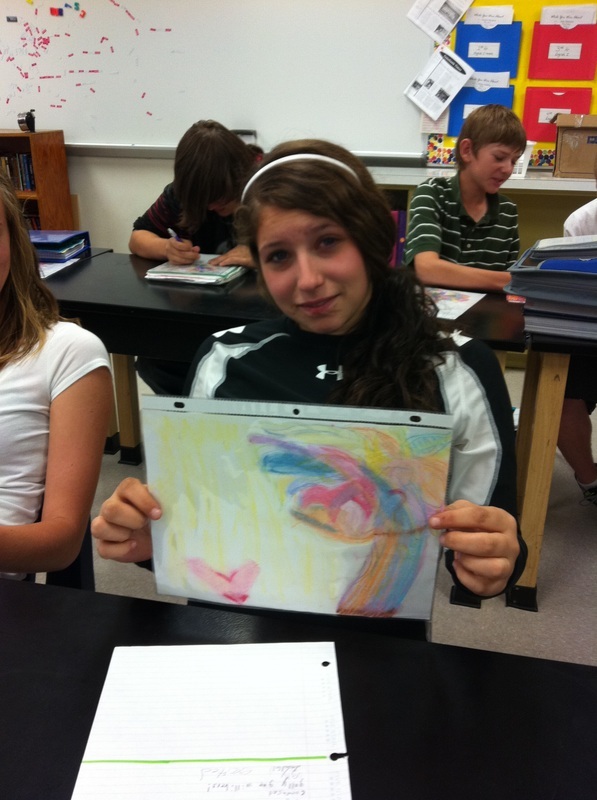 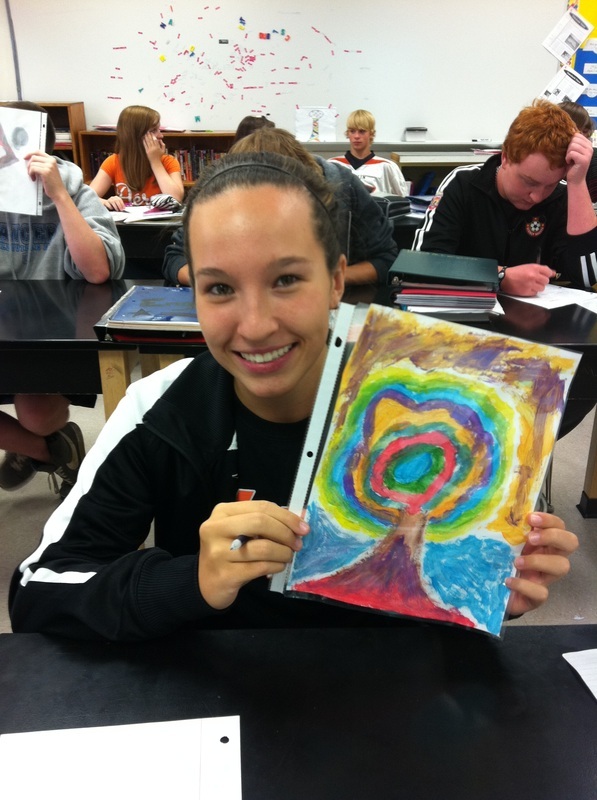 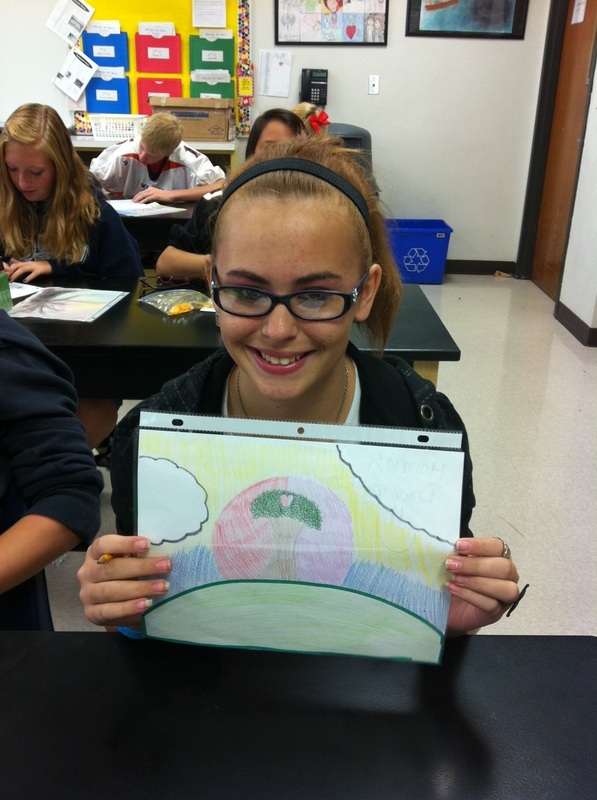 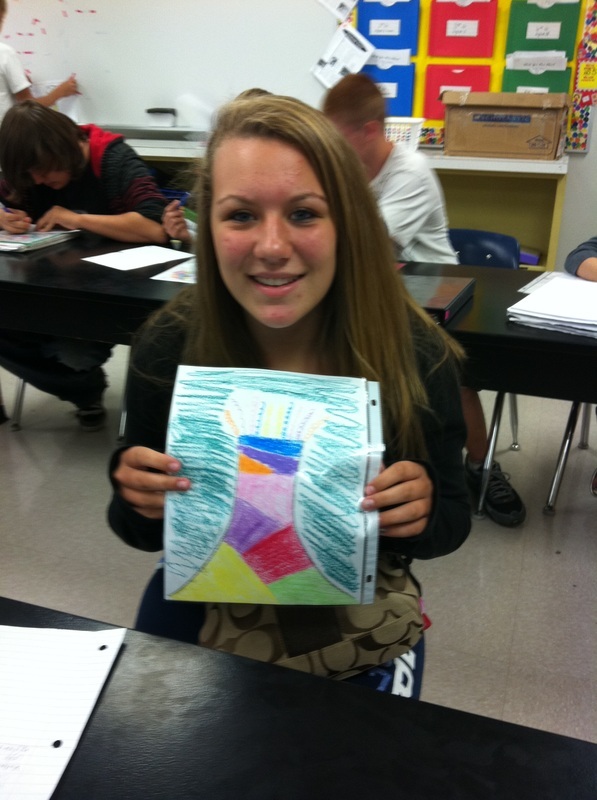 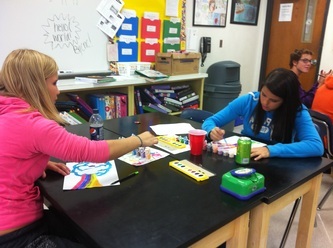 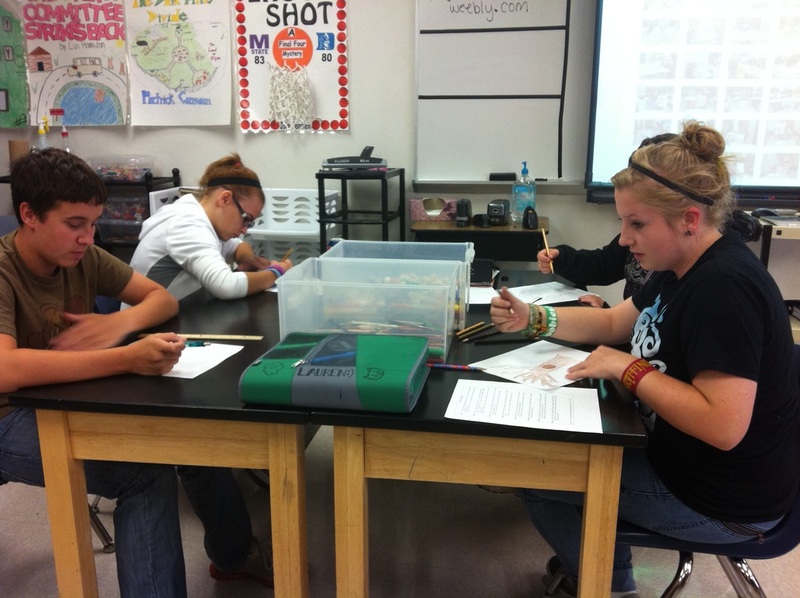 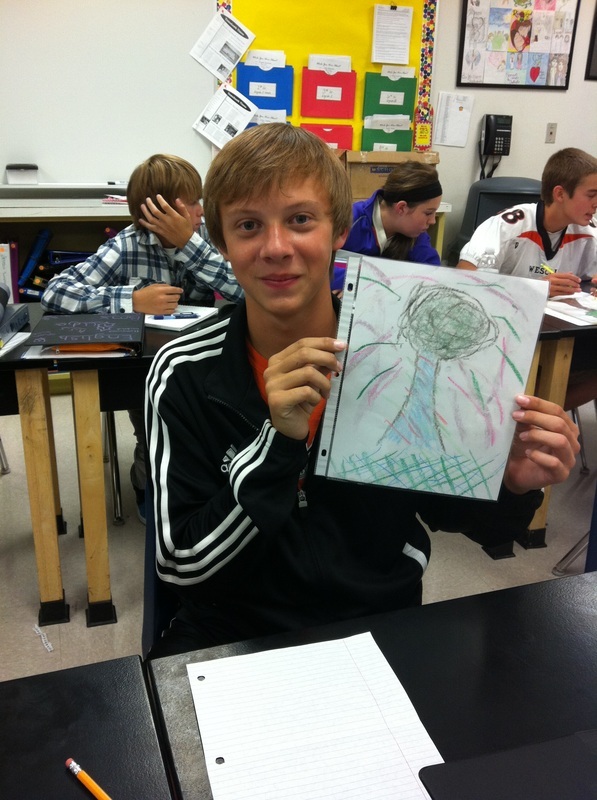 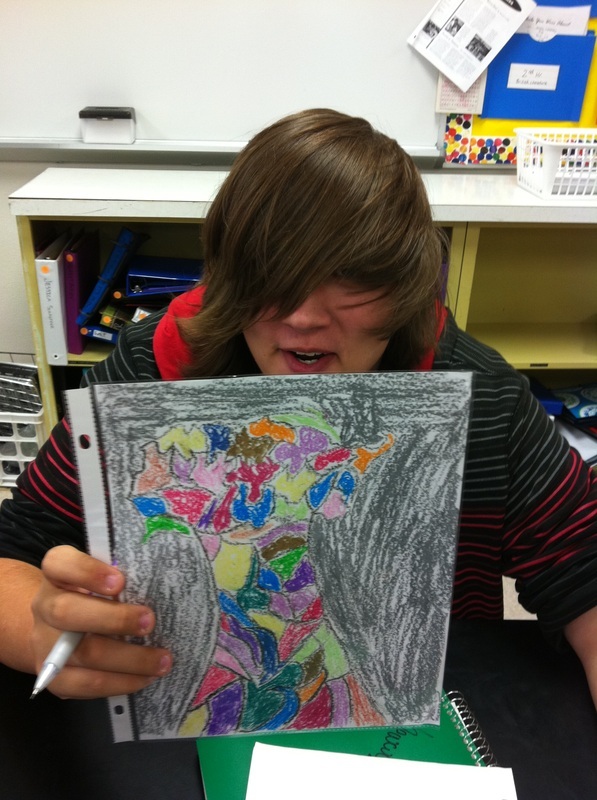 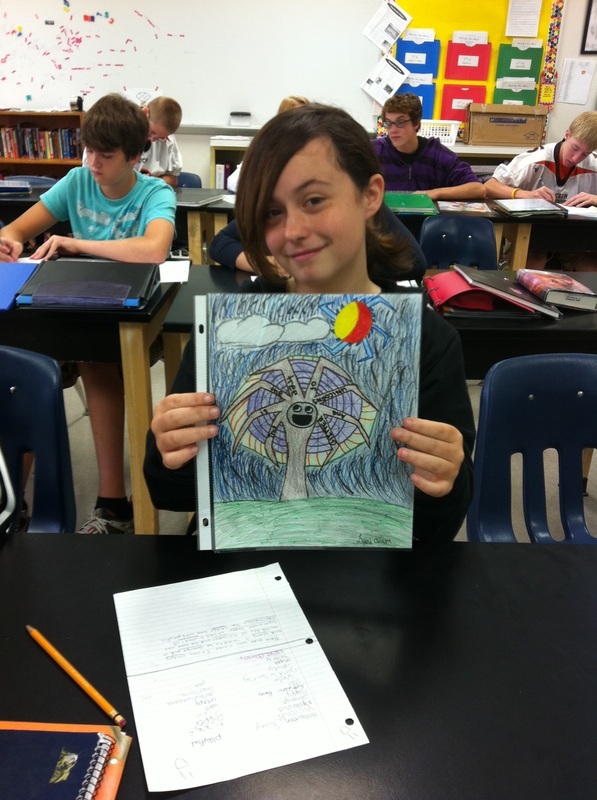 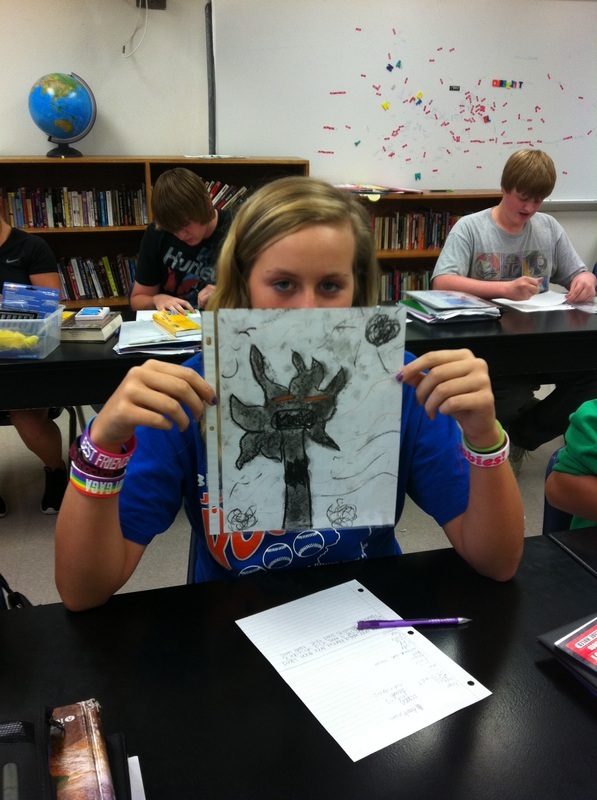 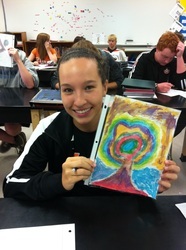 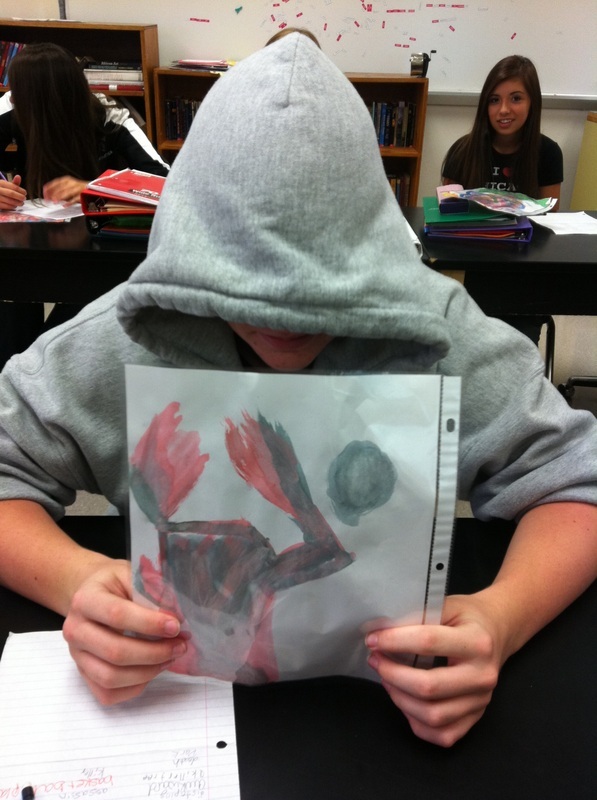 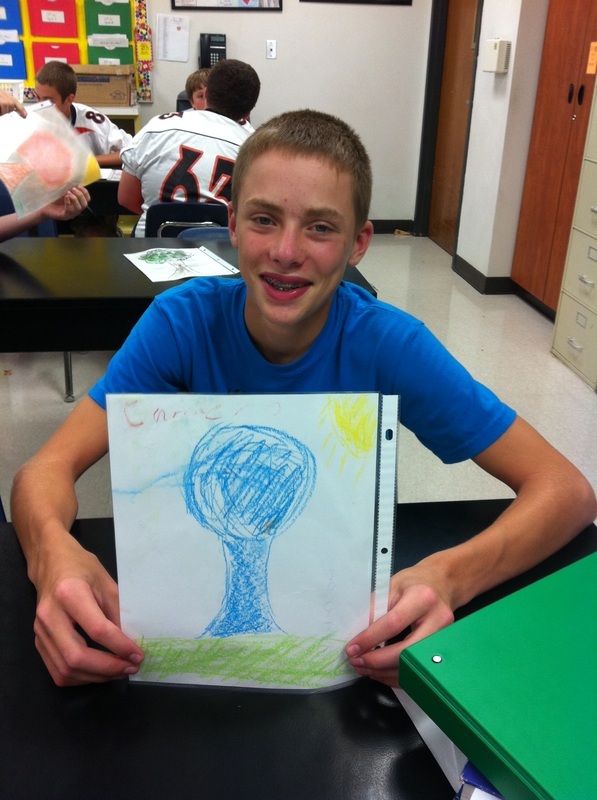 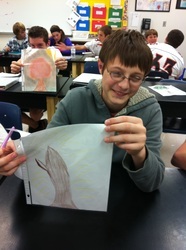 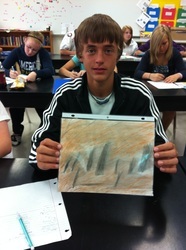 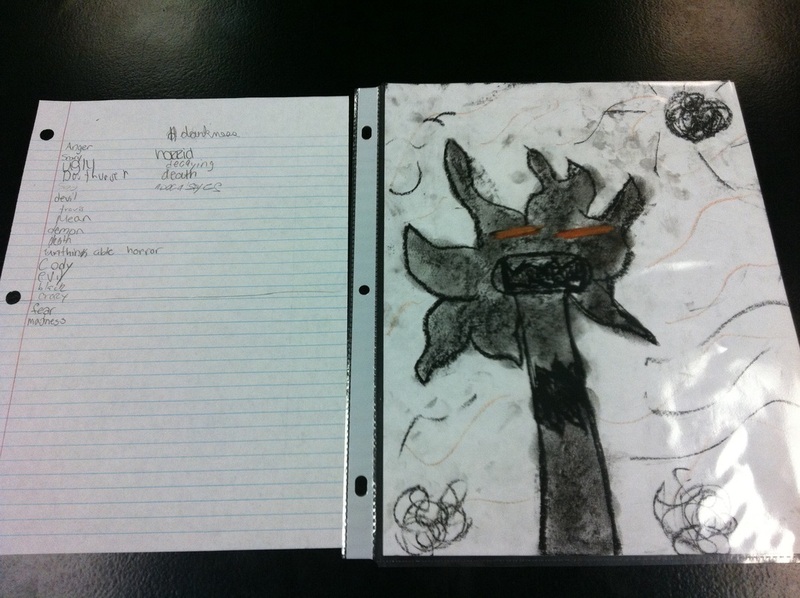 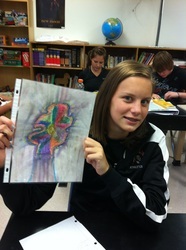 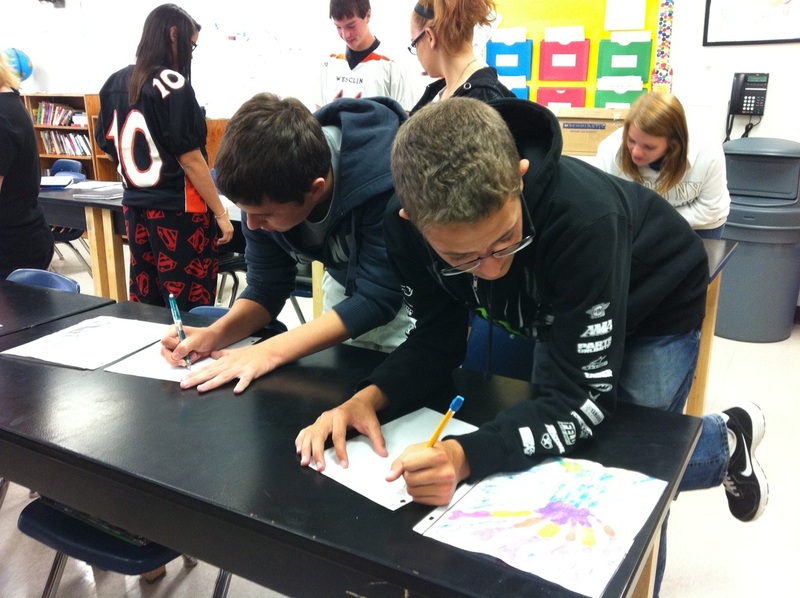 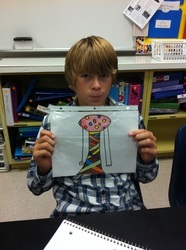 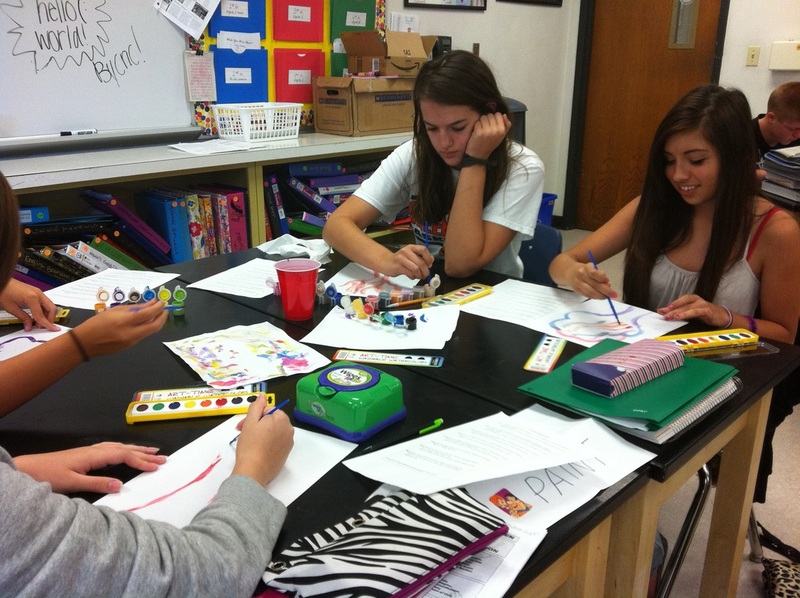 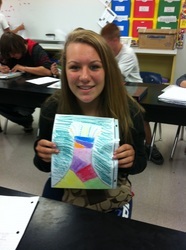 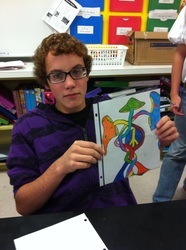 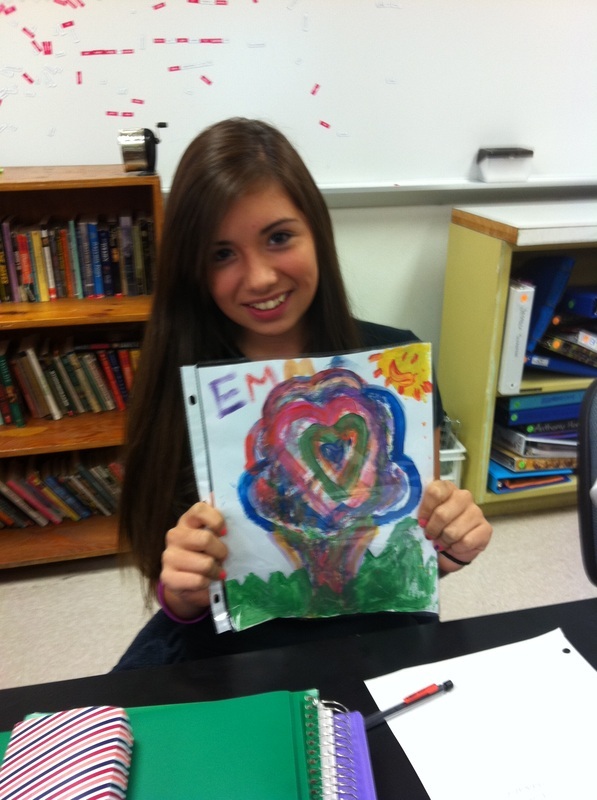 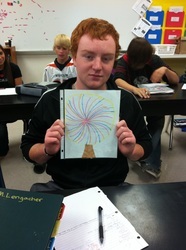 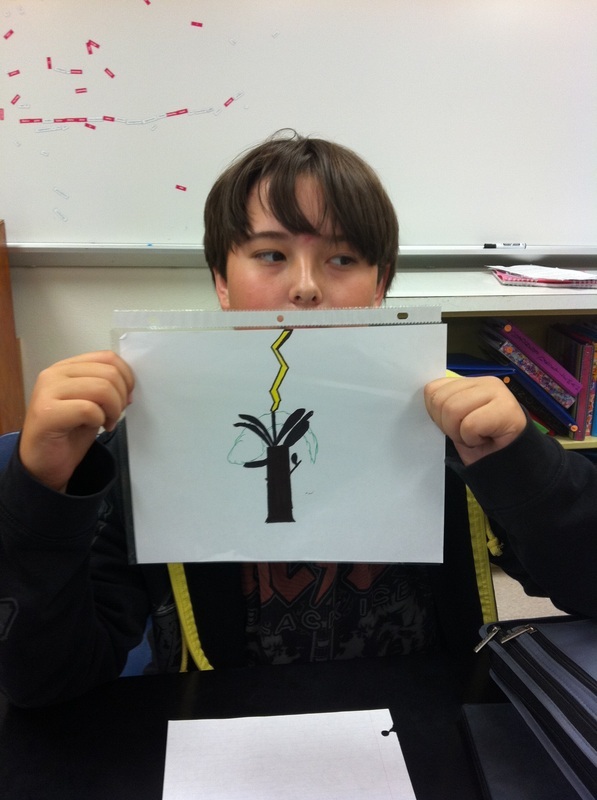 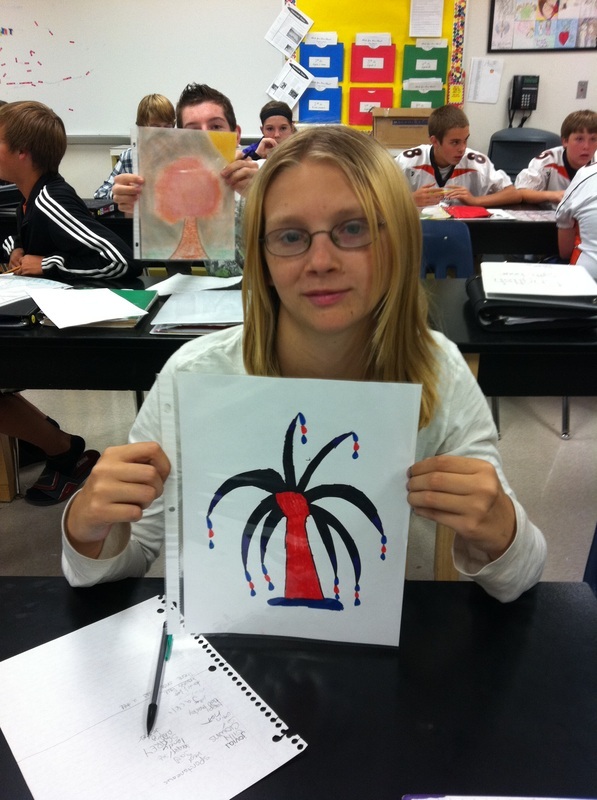 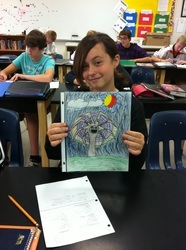 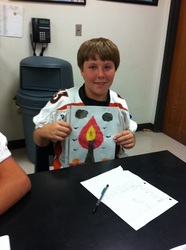 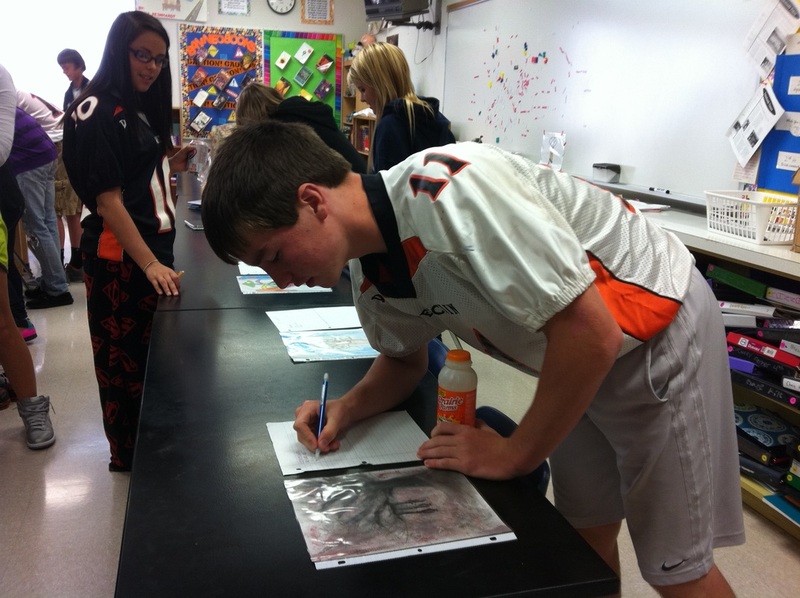 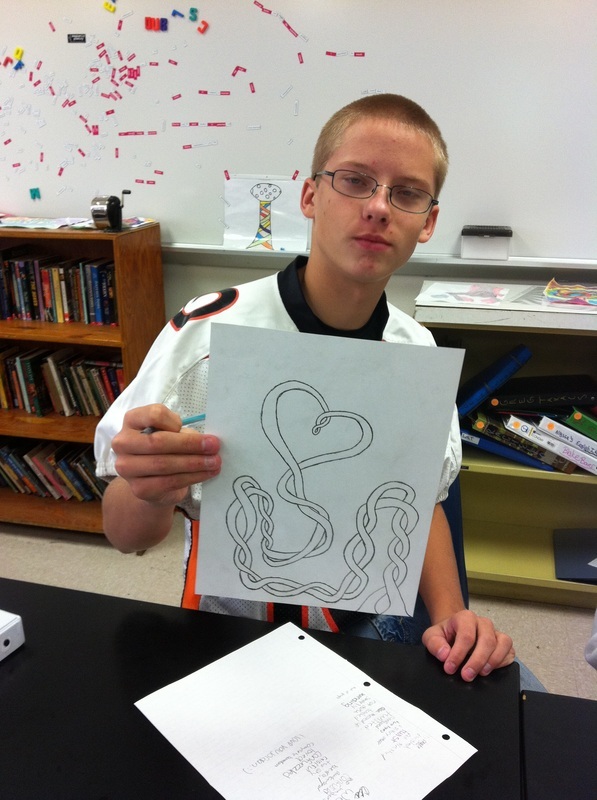 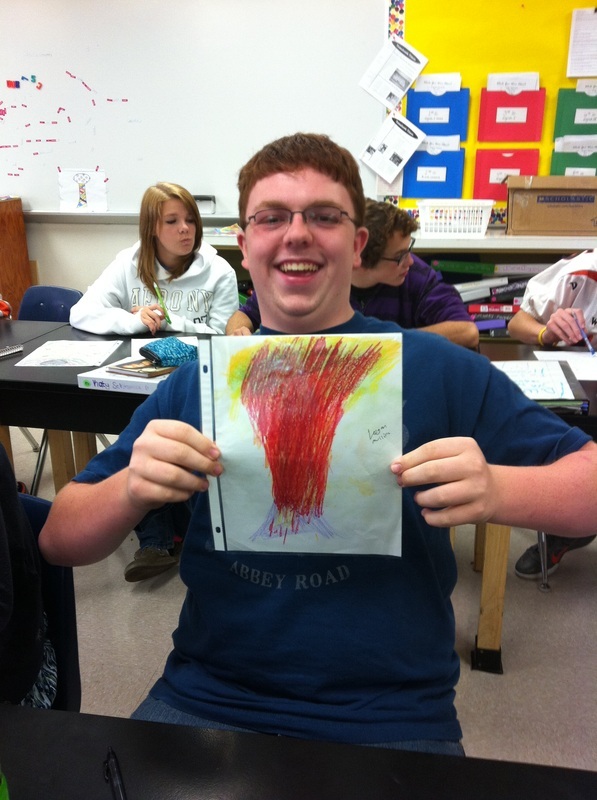 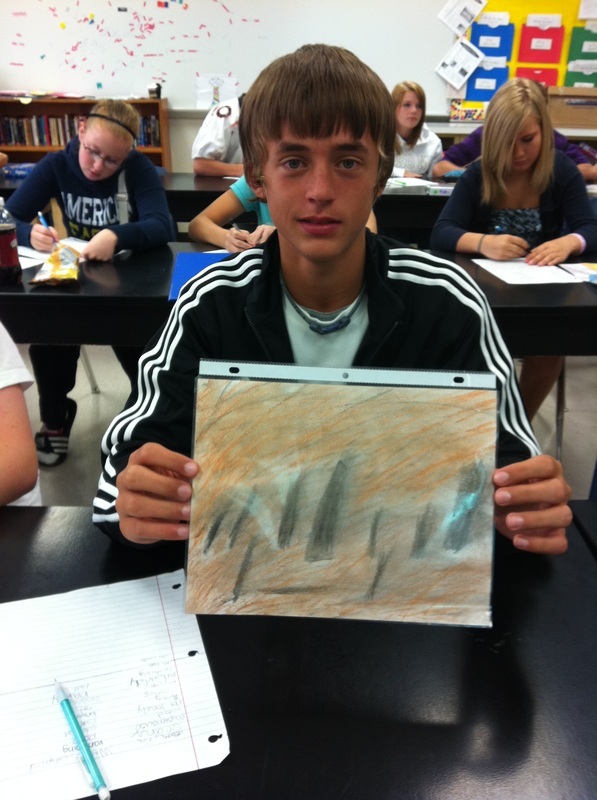 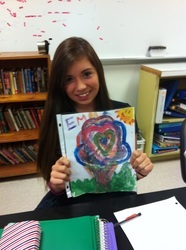 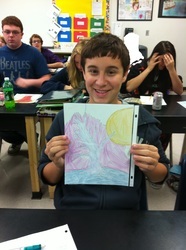 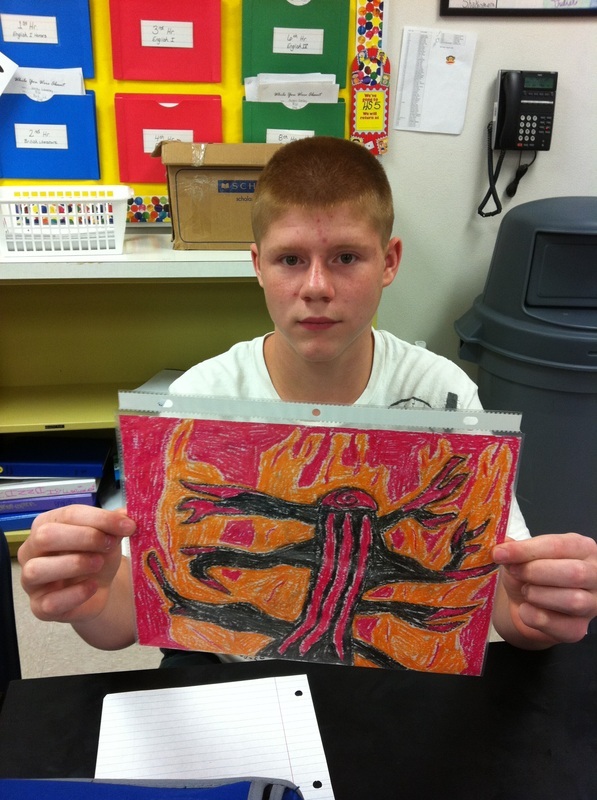 As part of a unit on symbolism, students chose a human emotion to represent artistically. 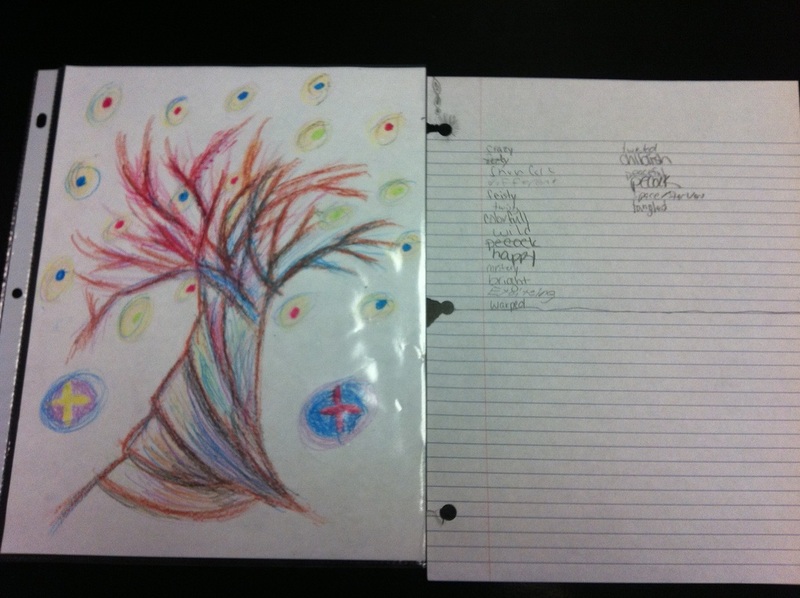 They used their prior knowledge and attitudes, as well as a list of color symbolism, to create trees that express their selected emotions. 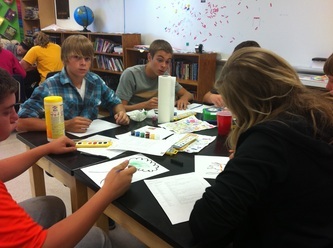 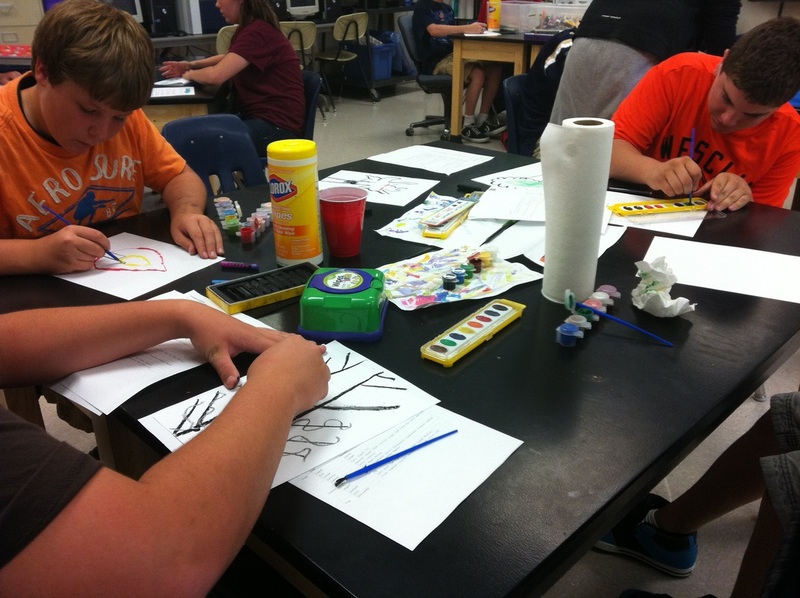 Students were given access to a variety of artistic media: markers, colored pencils, oil pastels, watercolors, chalk, and charcoal. 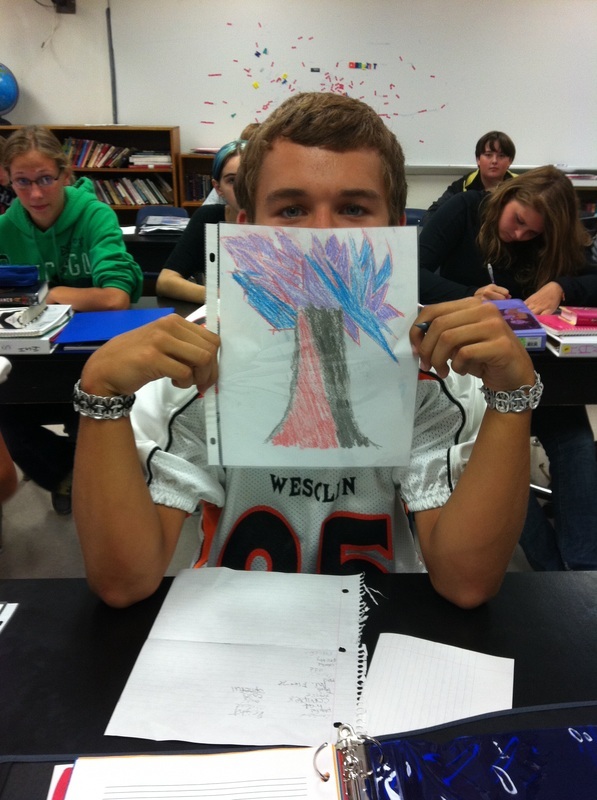 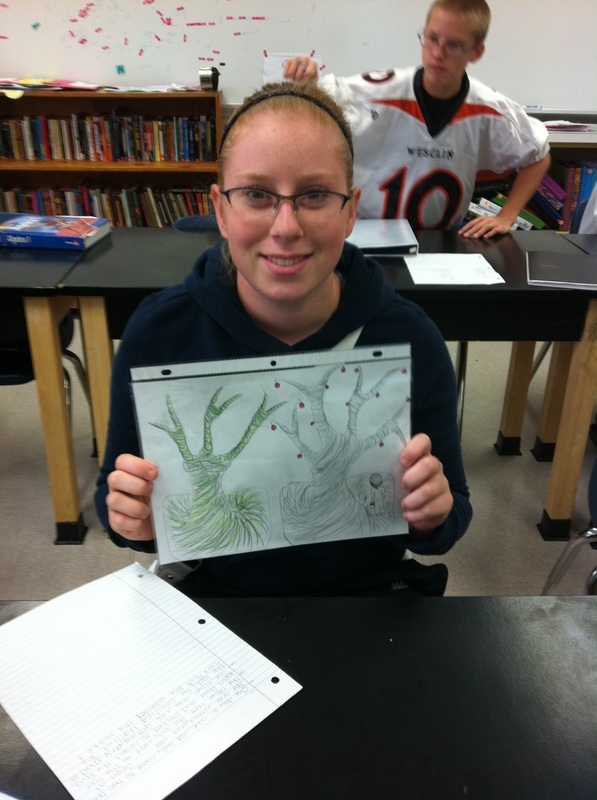 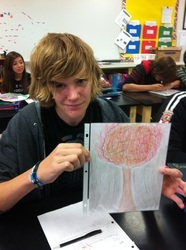 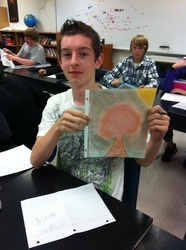 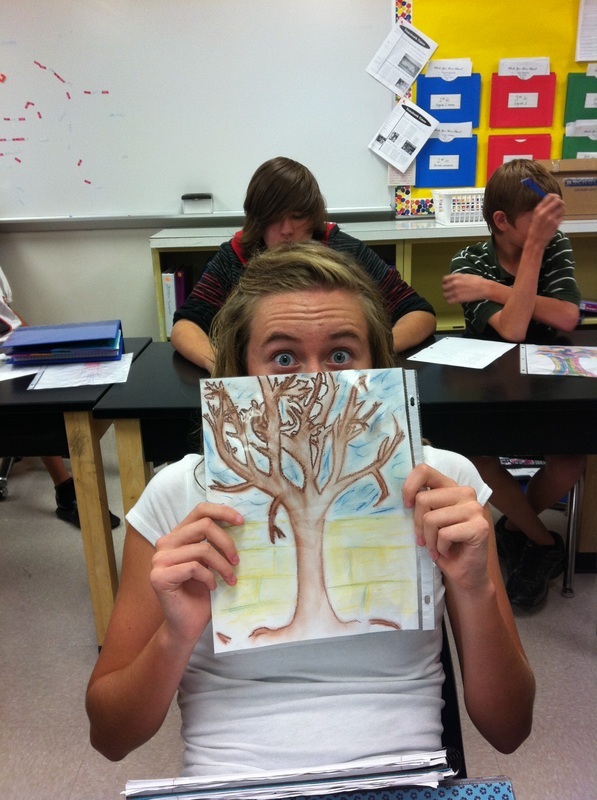 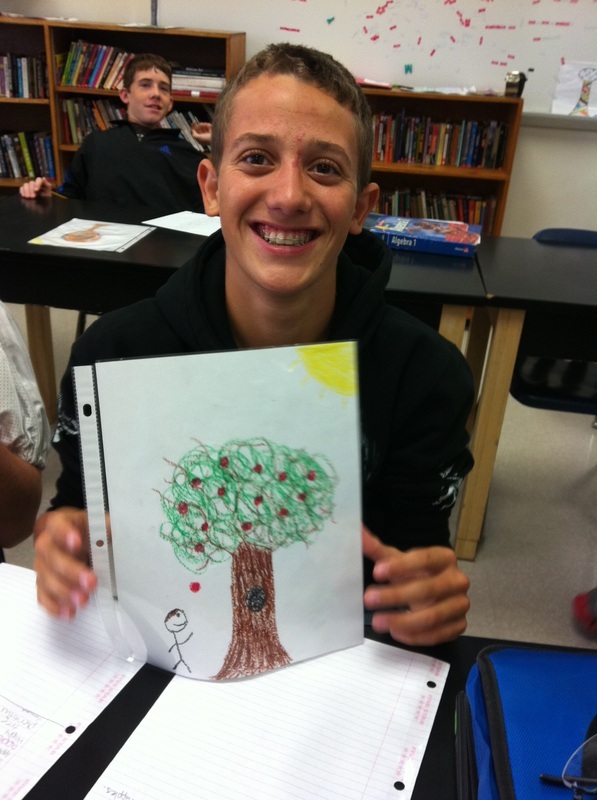 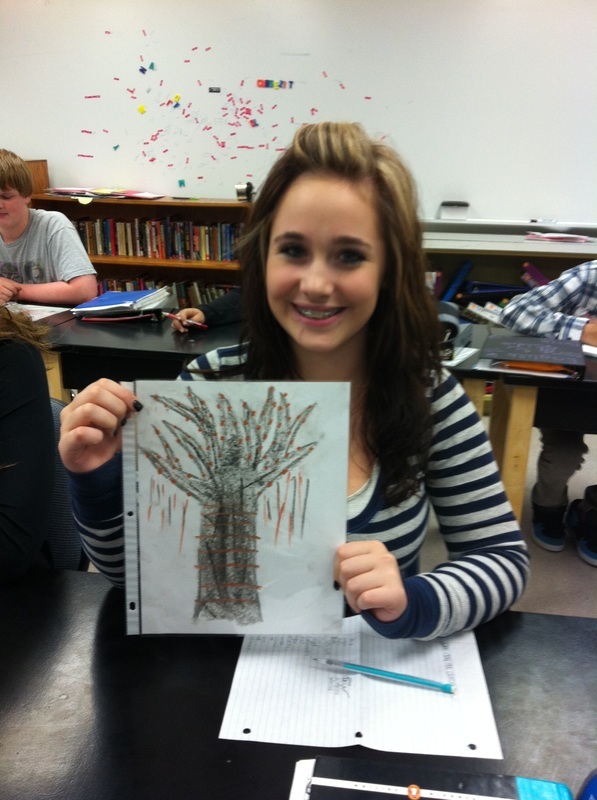 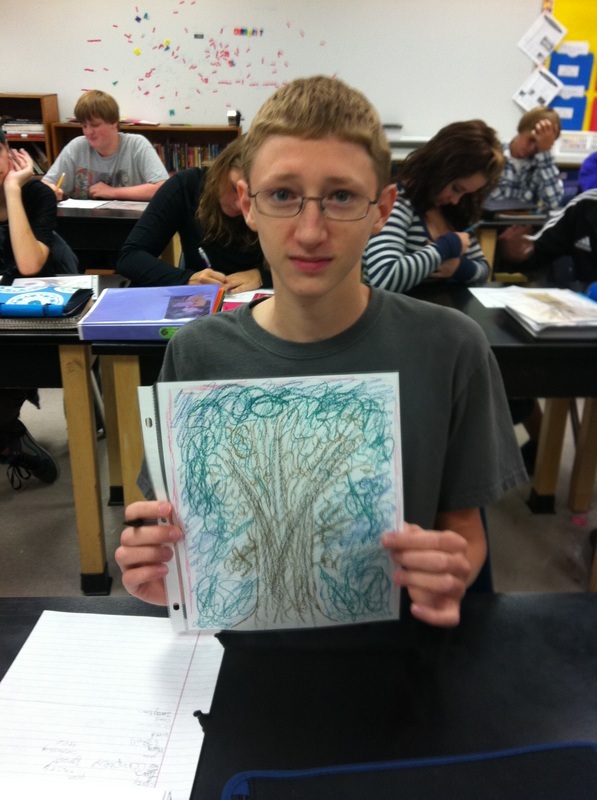 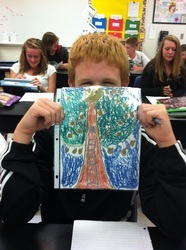 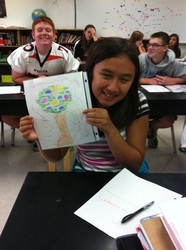 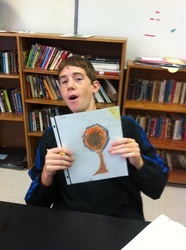 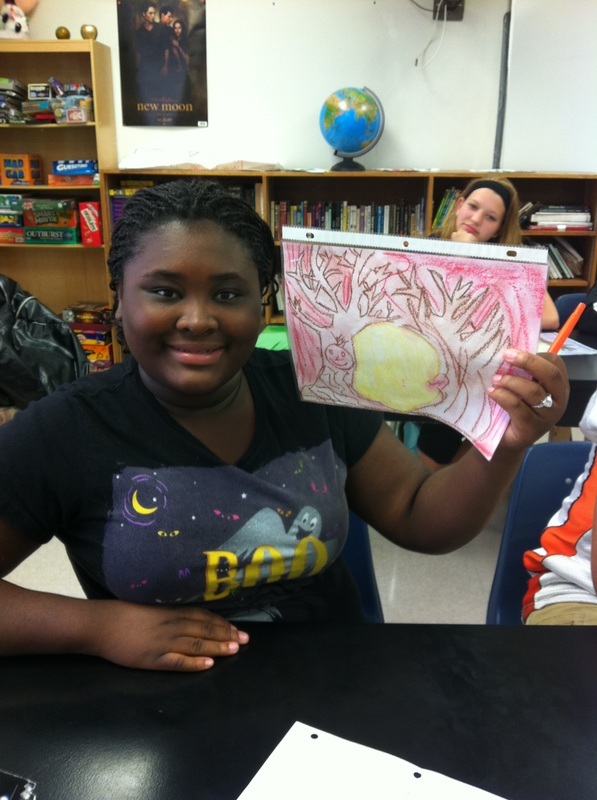 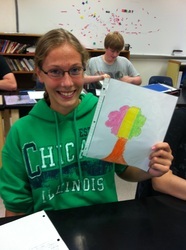 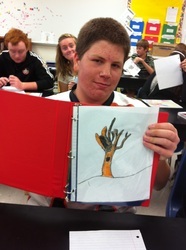 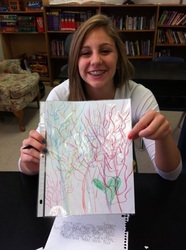 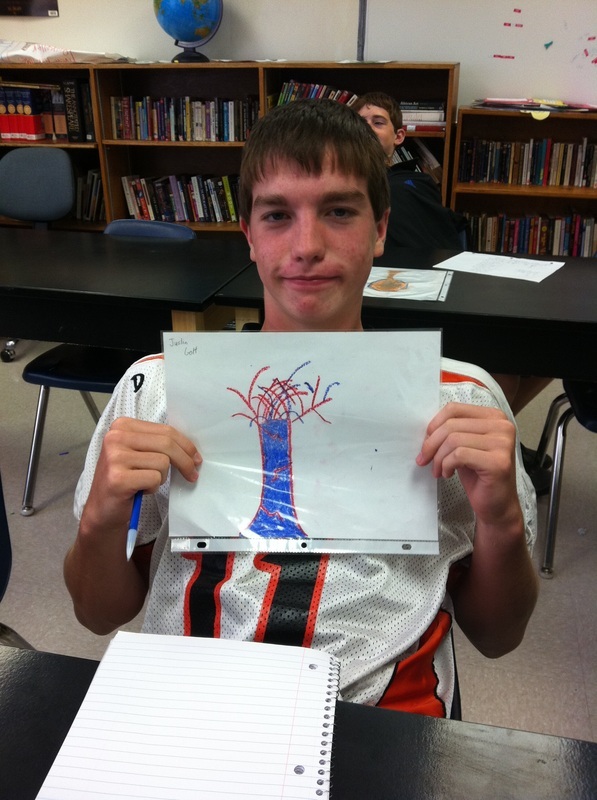 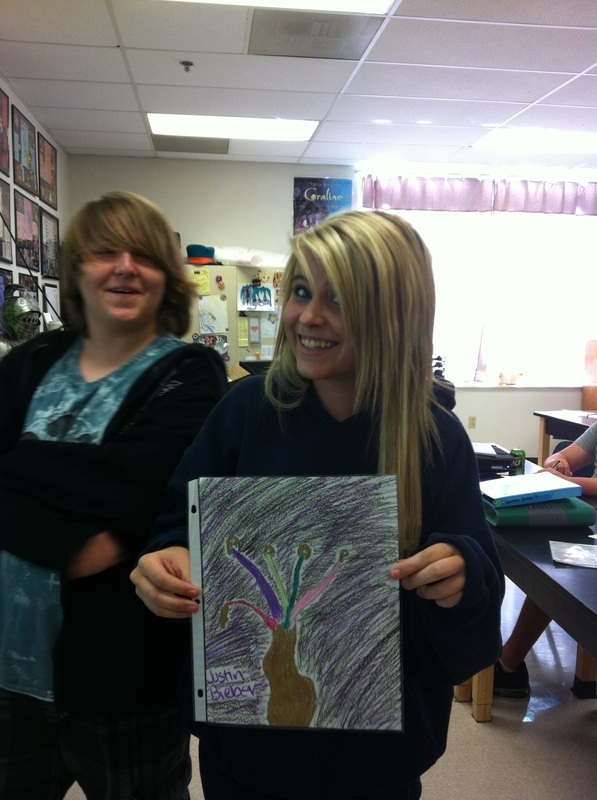 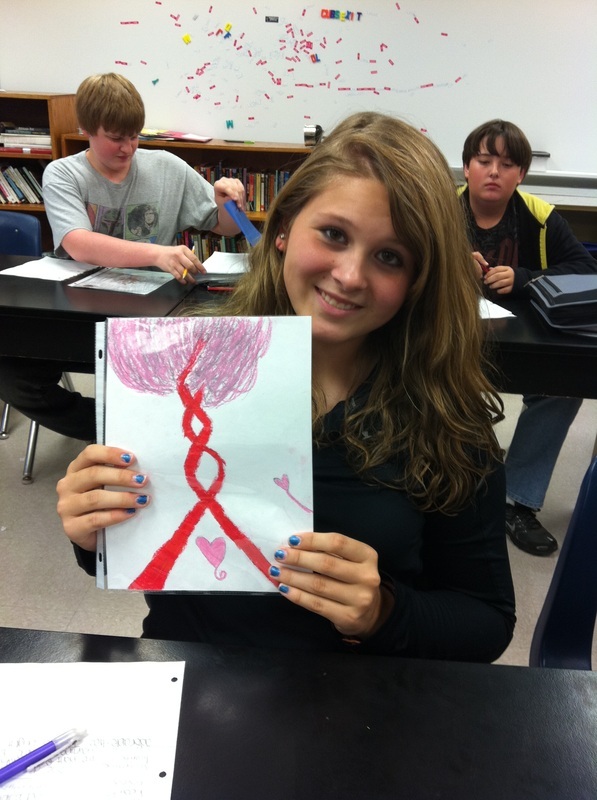 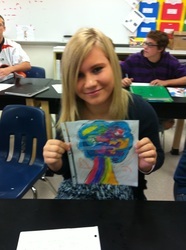 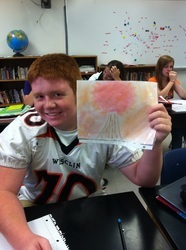 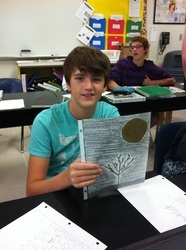 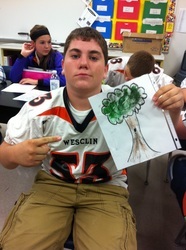 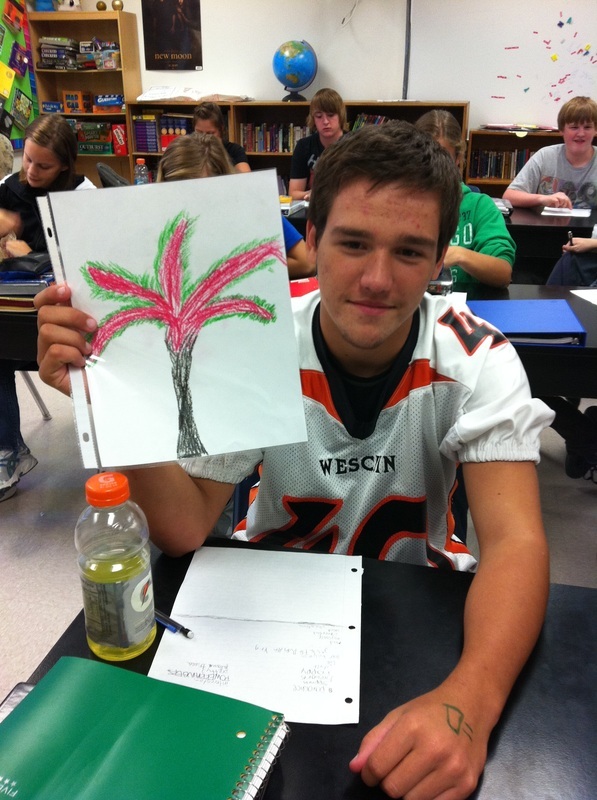 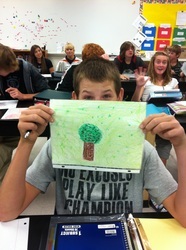 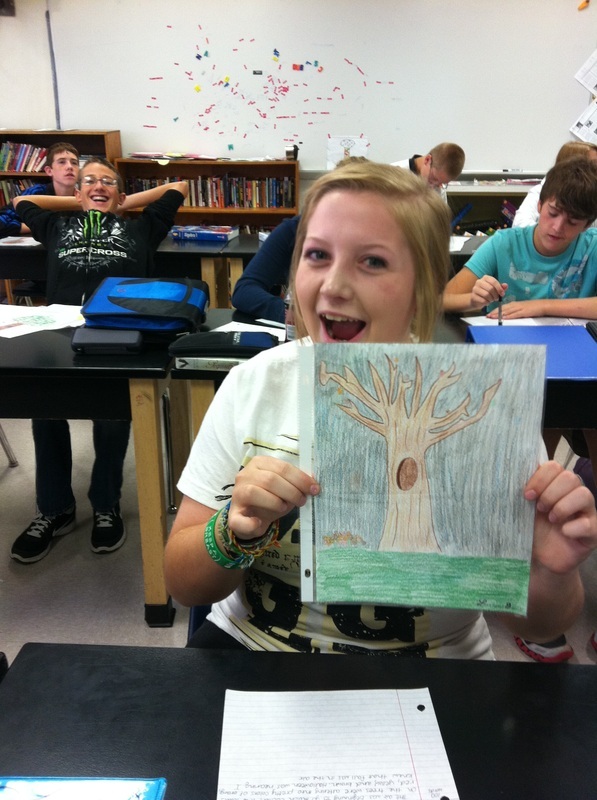 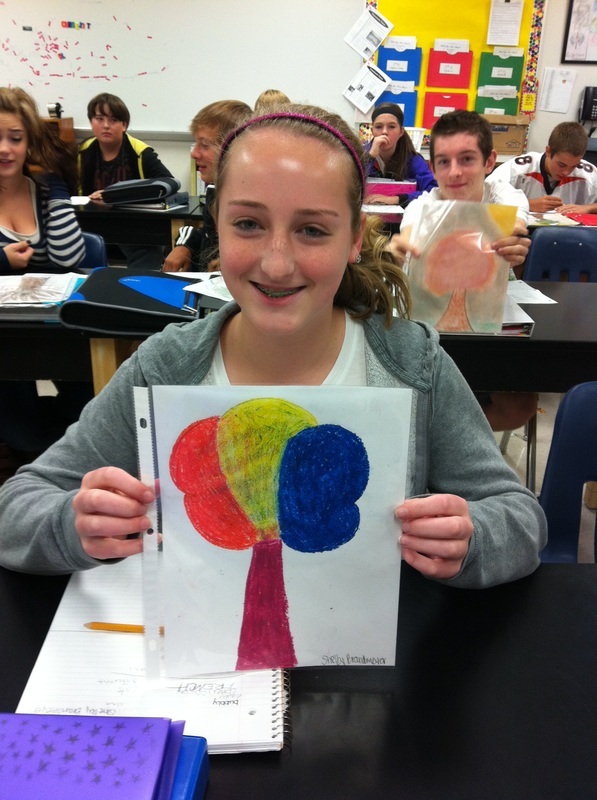 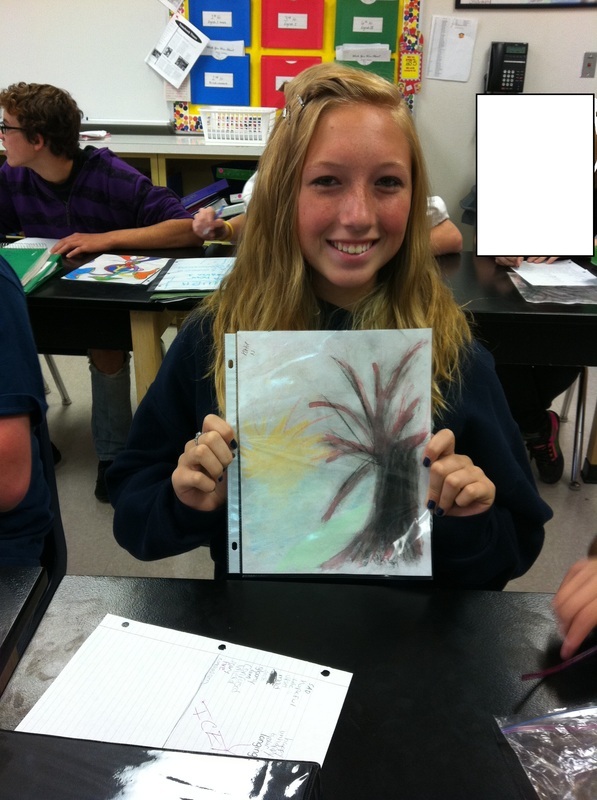 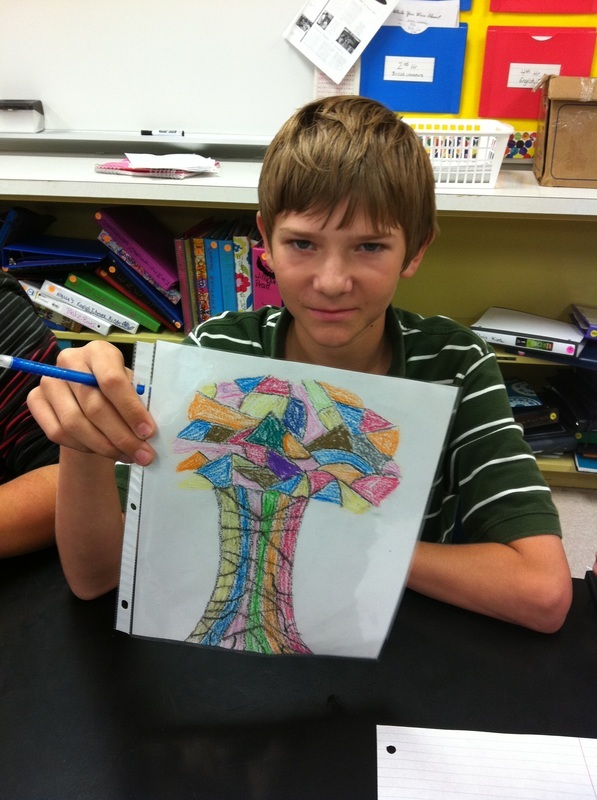 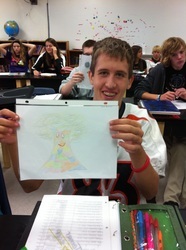 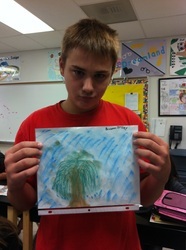 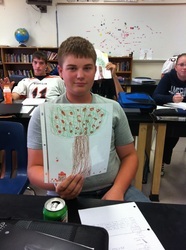 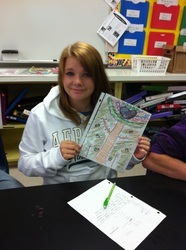 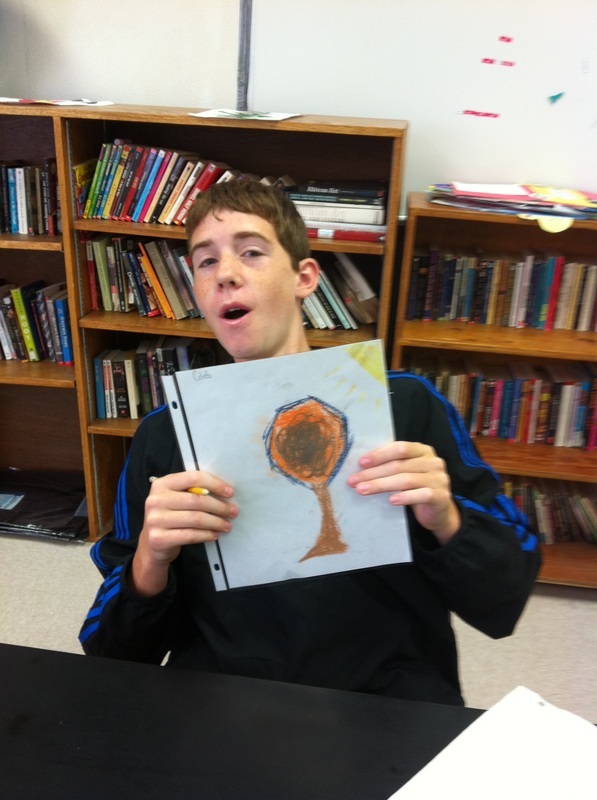 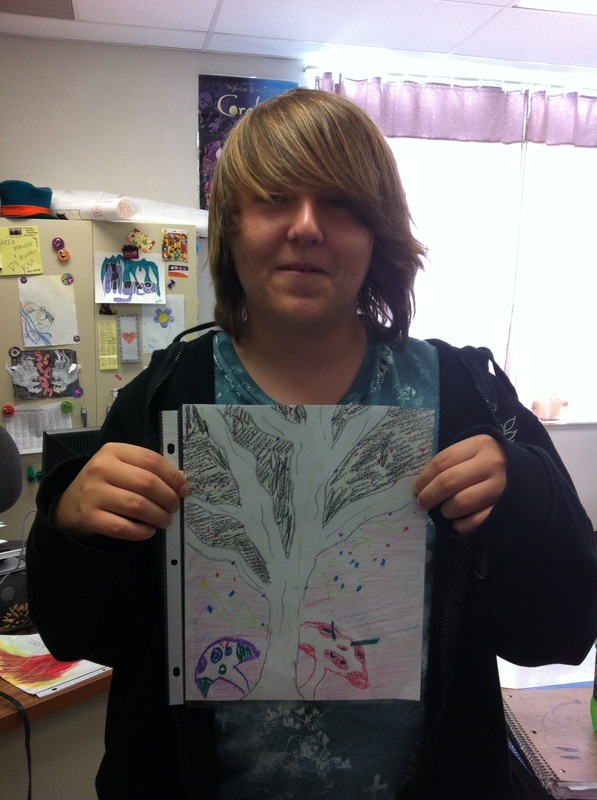 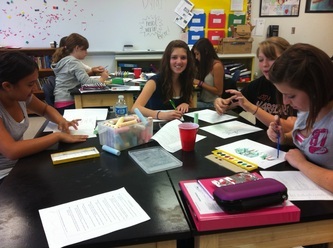 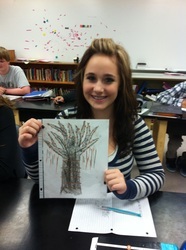 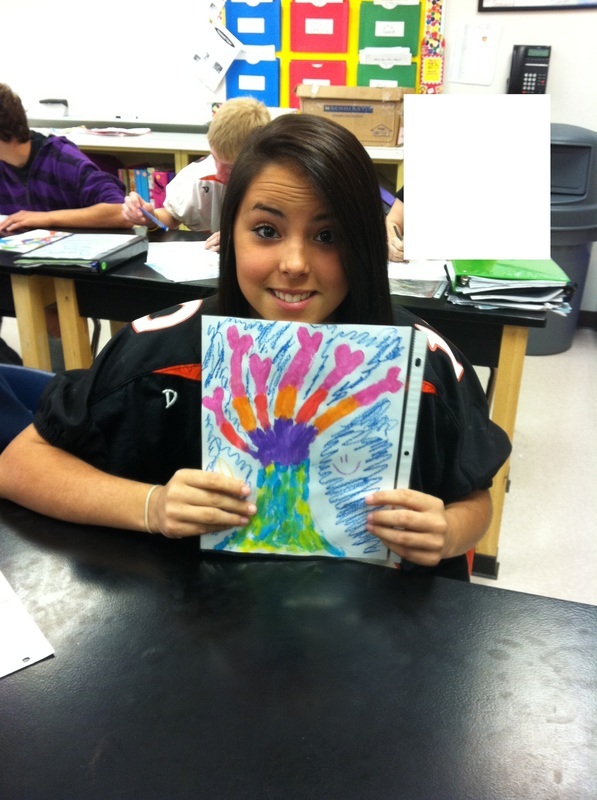 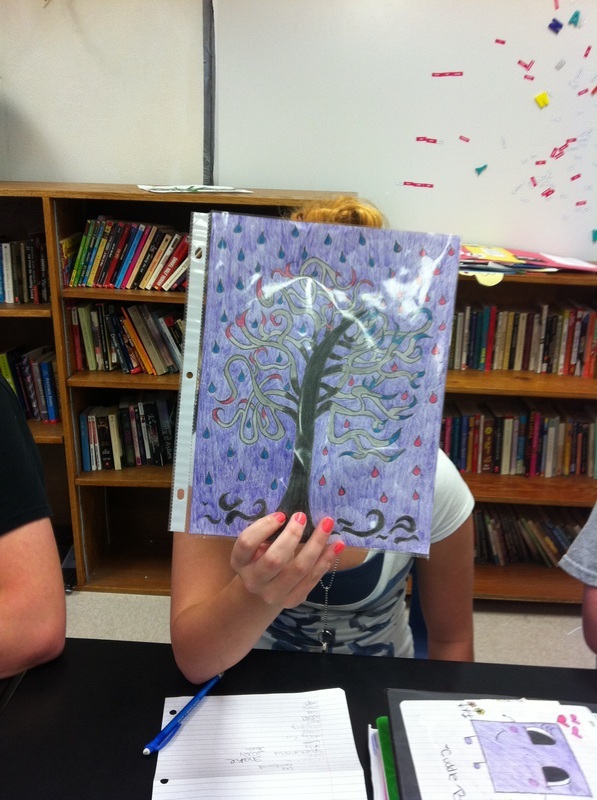 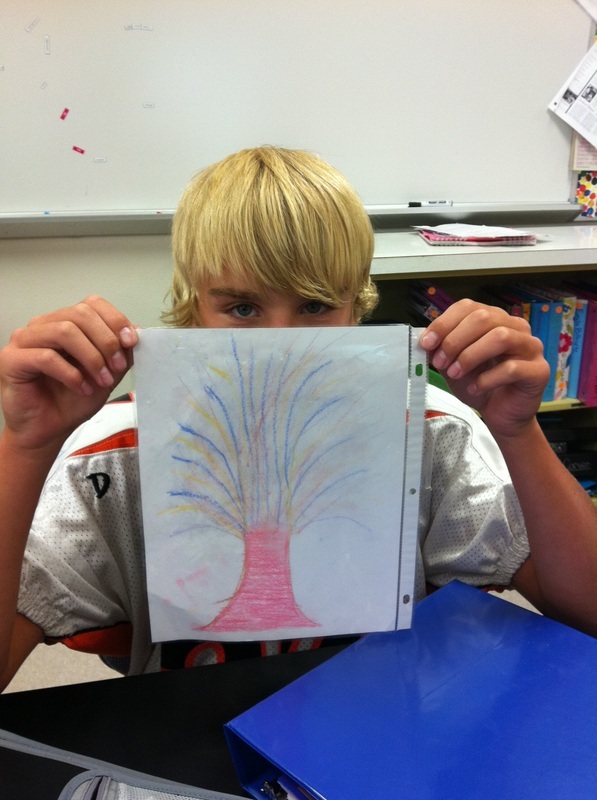 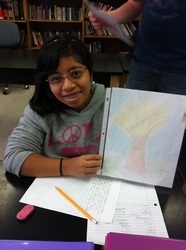 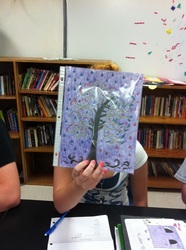 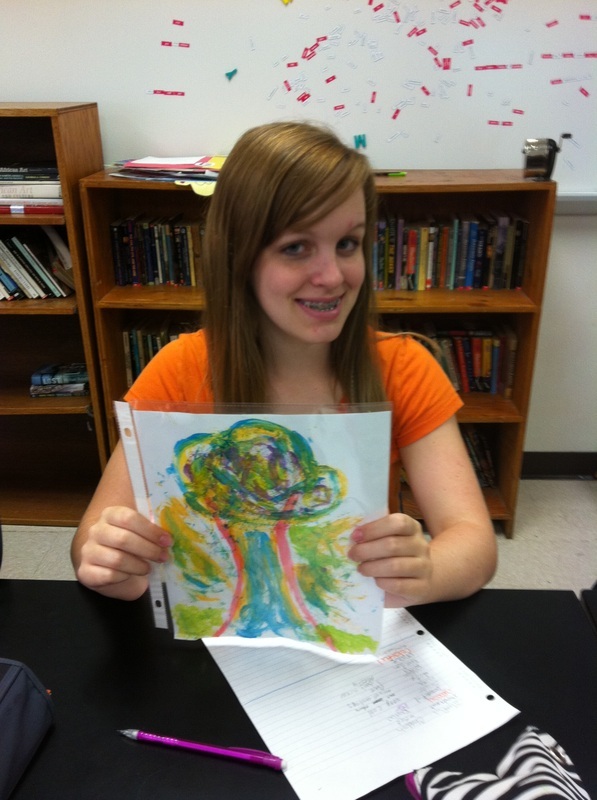 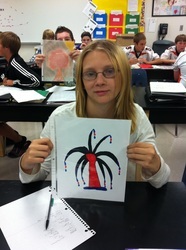 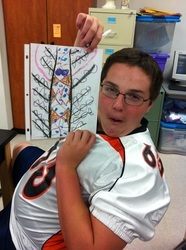 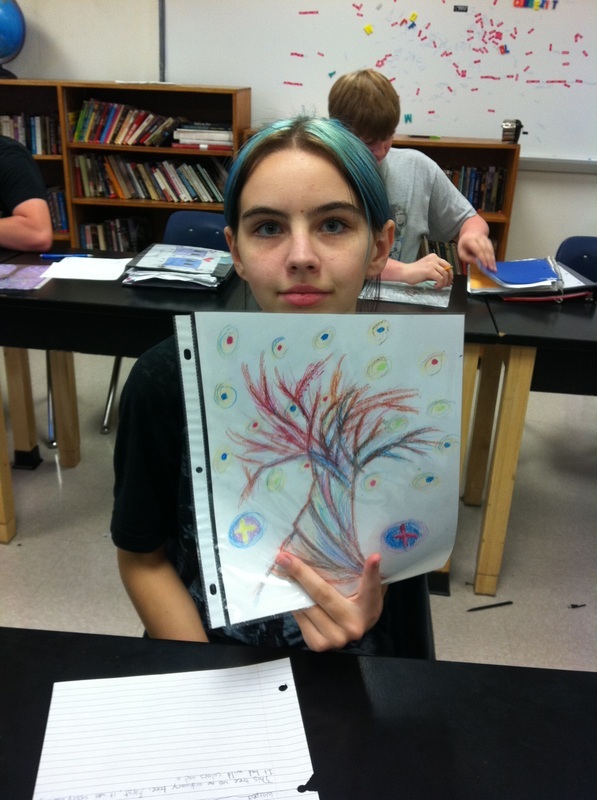 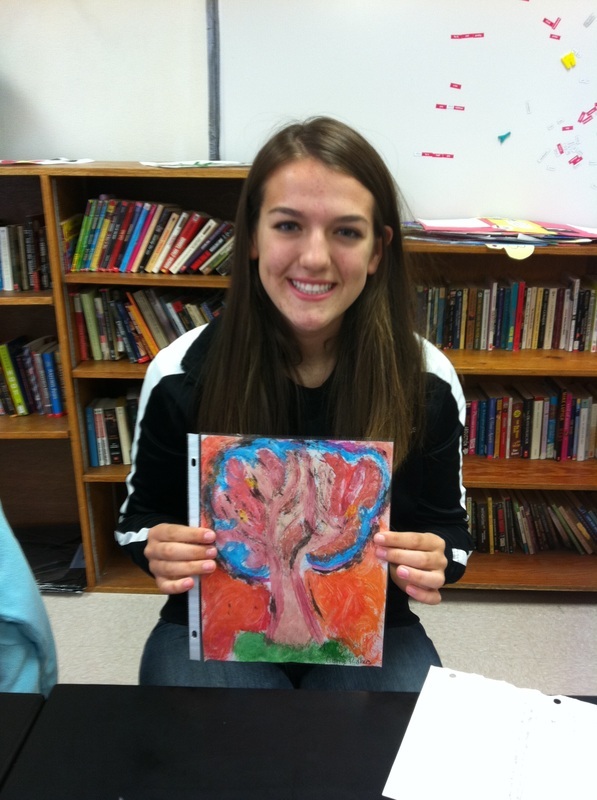 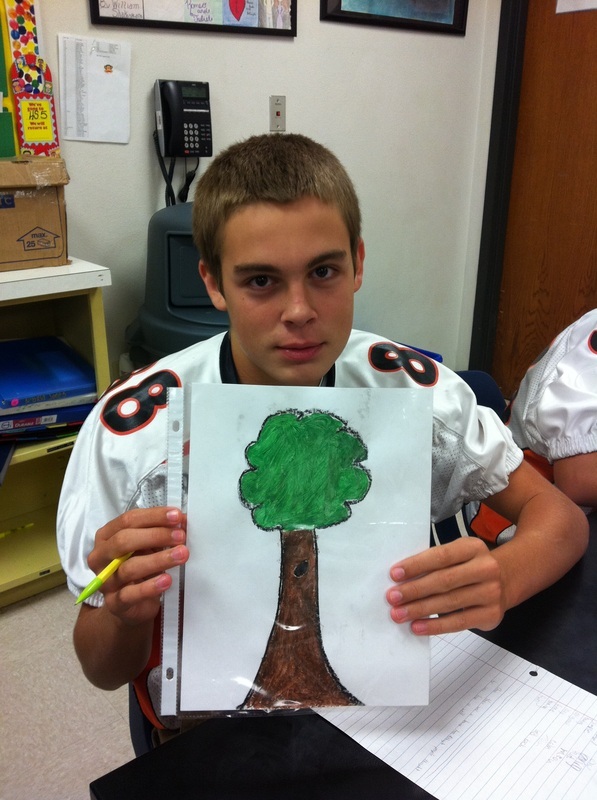 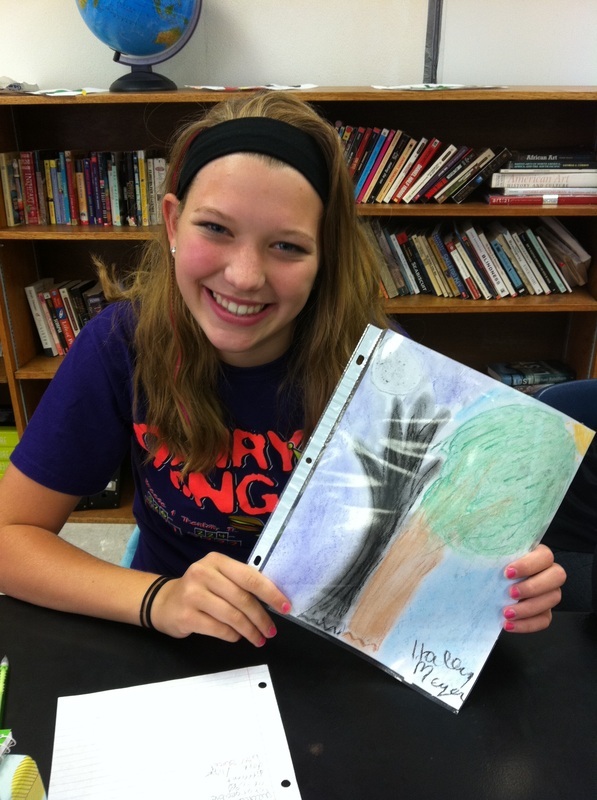 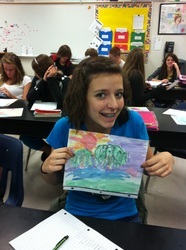 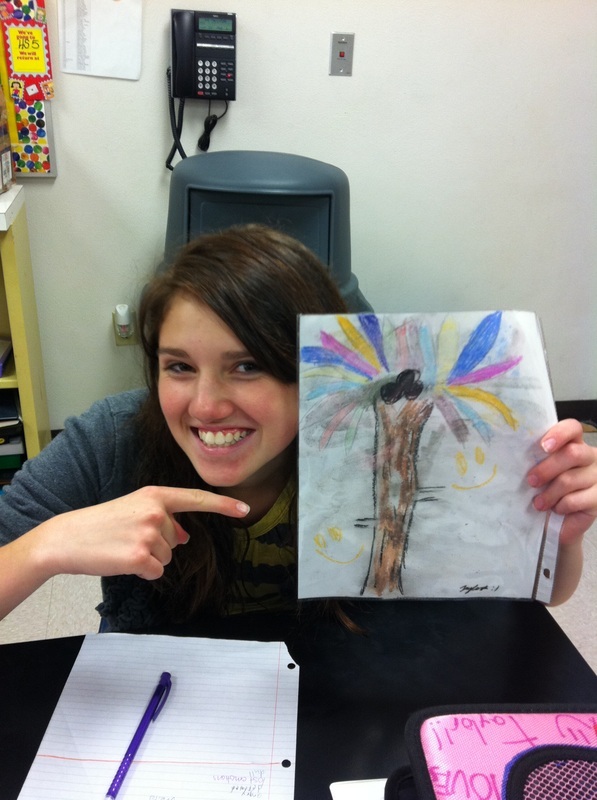 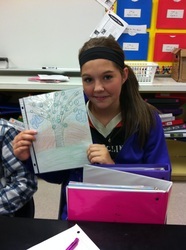 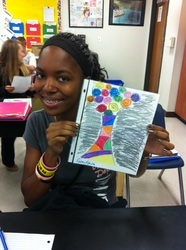 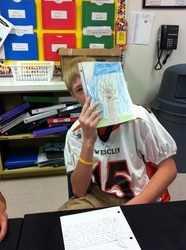 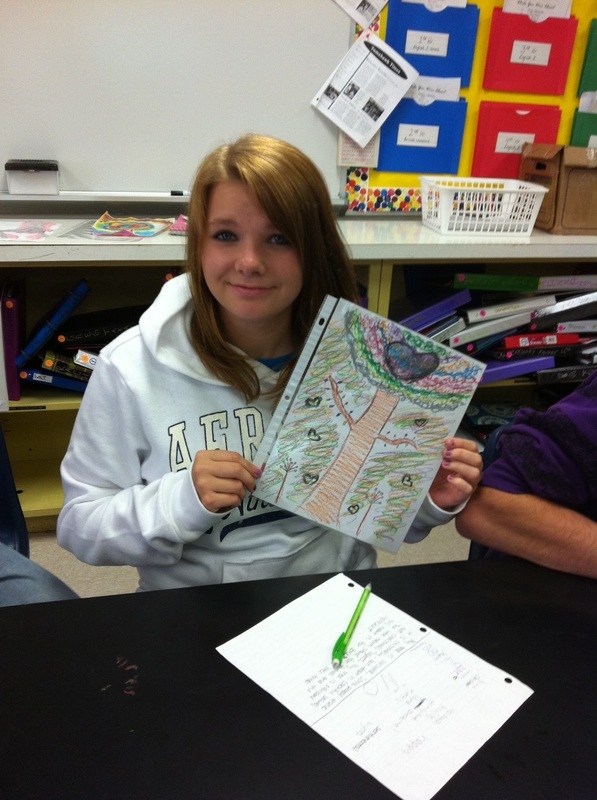 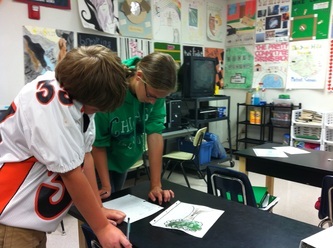 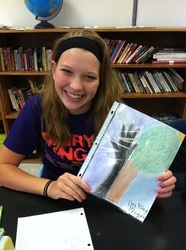 Students were given the entire class period to create their trees. 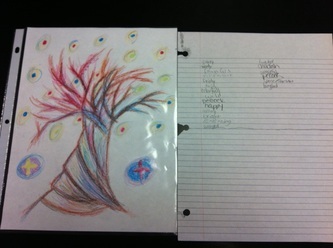 Students shared their trees with one another. 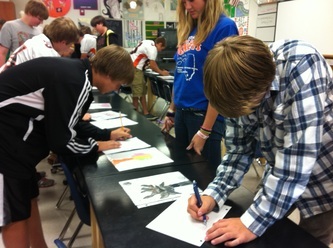 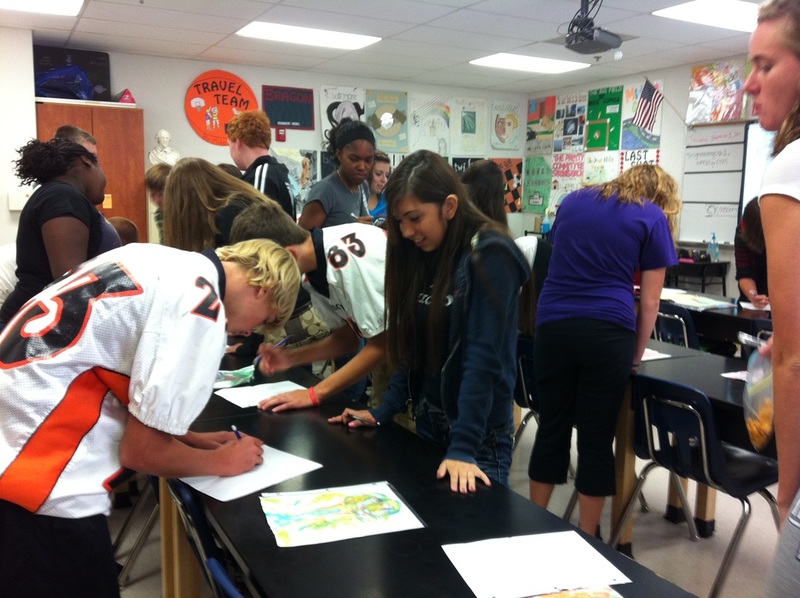 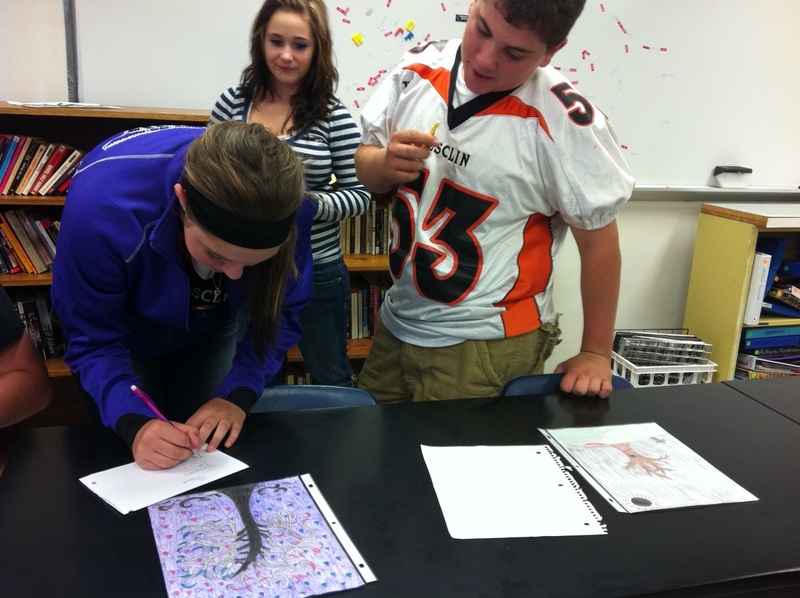 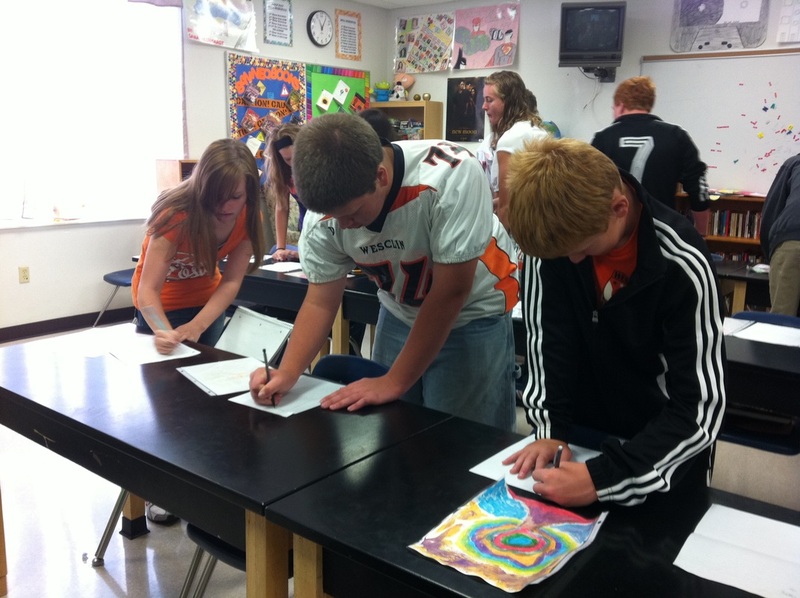 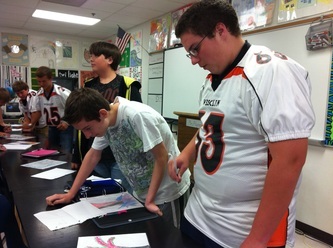 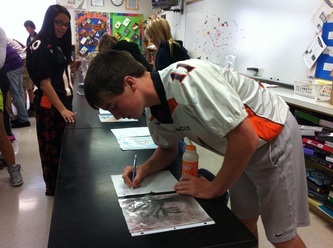 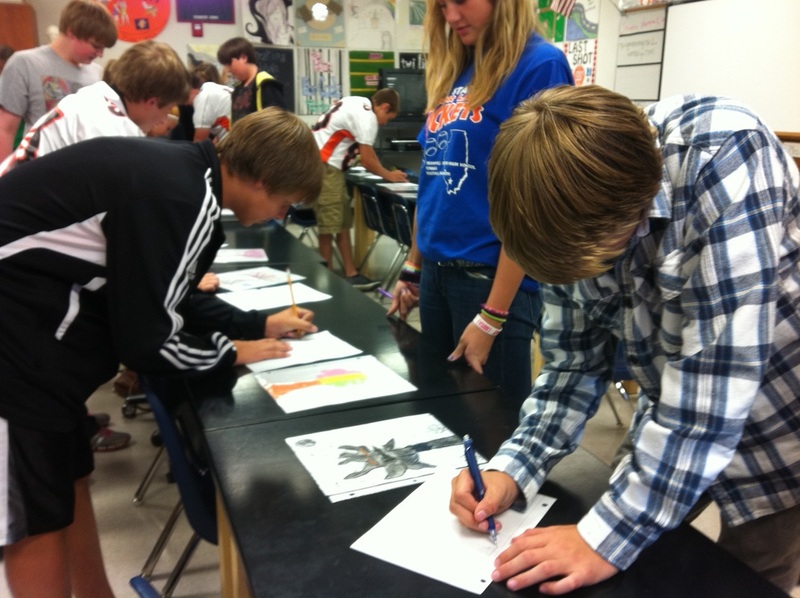 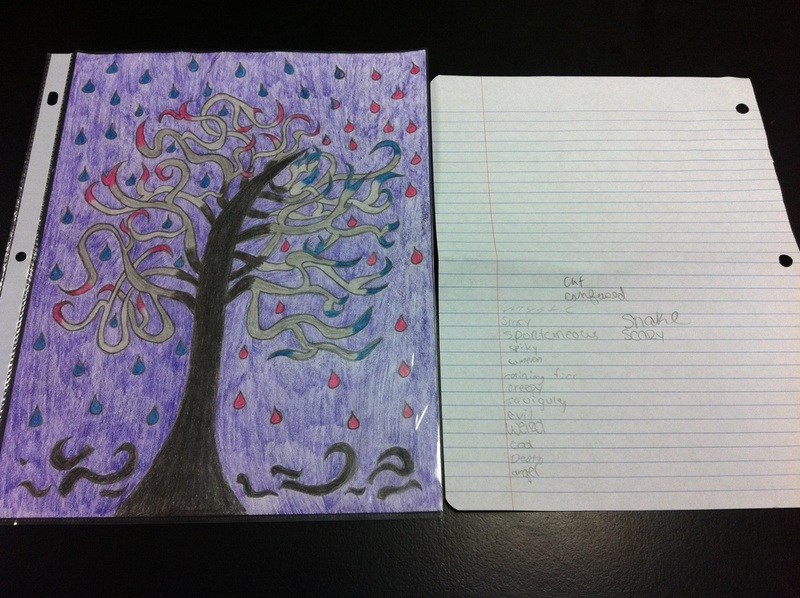 They participated in a gallery walk, where each student wrote down one word to describe the tree of each classmate. 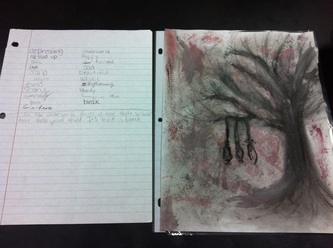 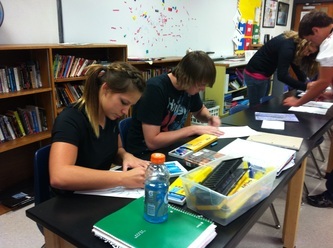 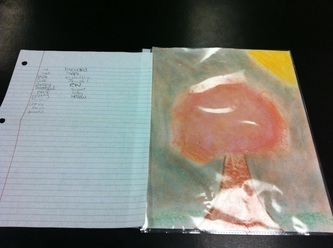 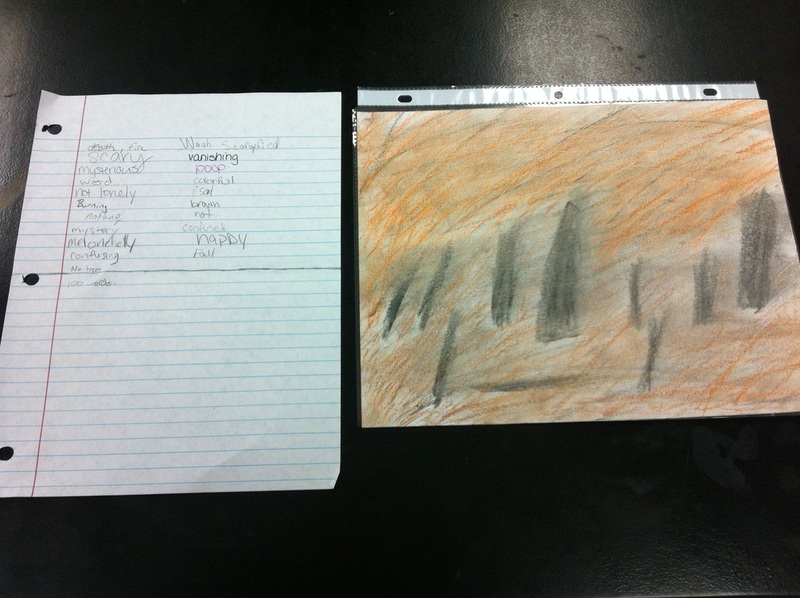 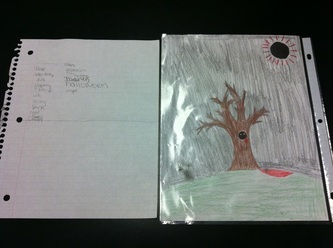 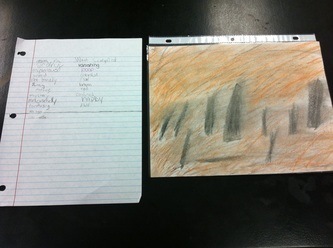 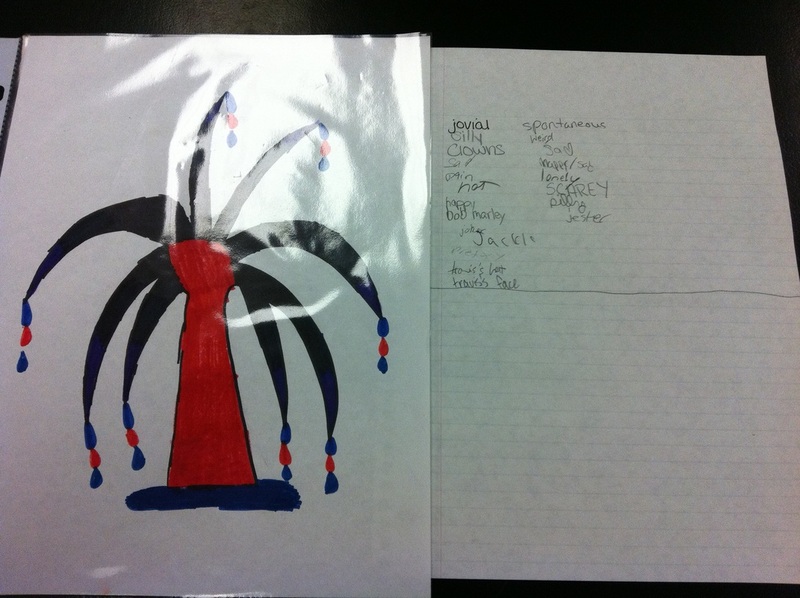 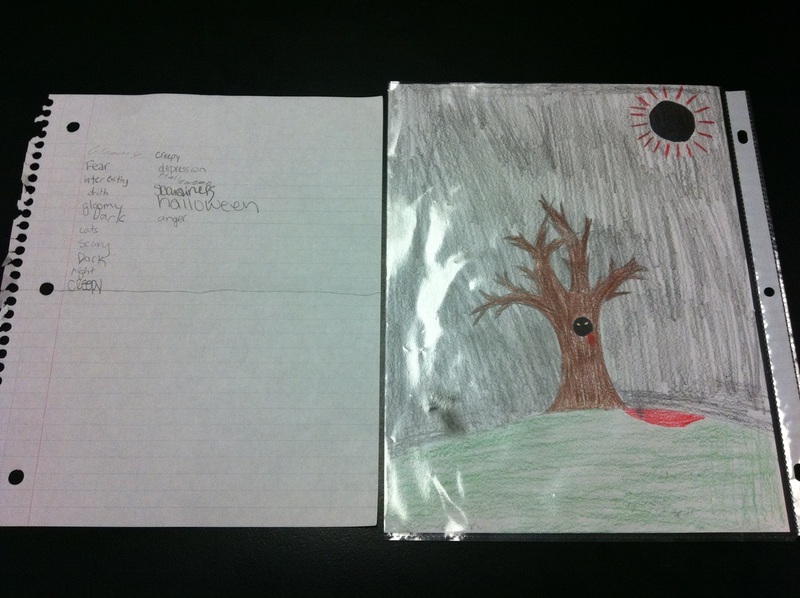 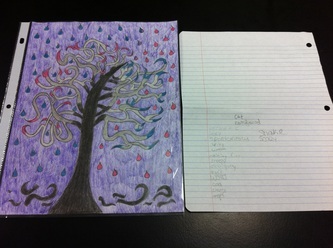 Next, students returned to their trees and used the generated lists of descriptive words to write a composition. W.9-10.3. 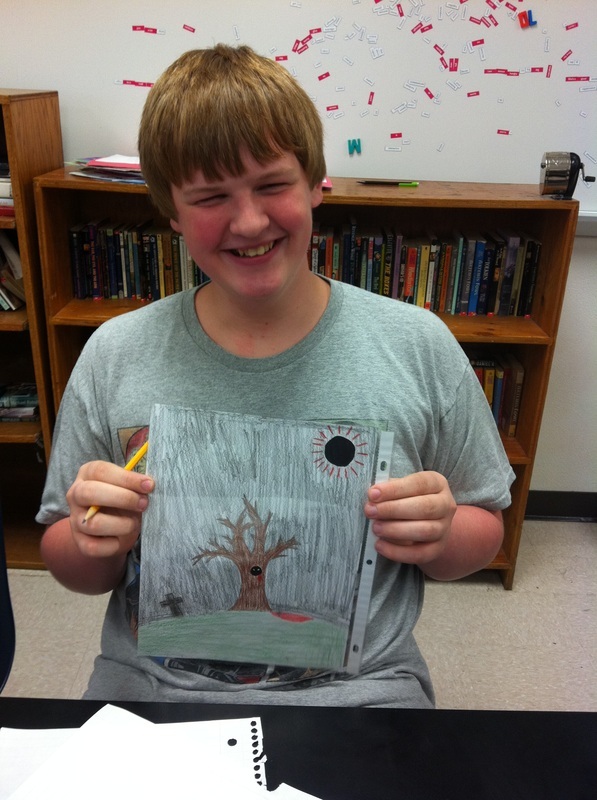 Write narratives to develop real or imagined experiences or events using effective technique, well-chosen details, and well-structured event sequences. W.9-10.10. 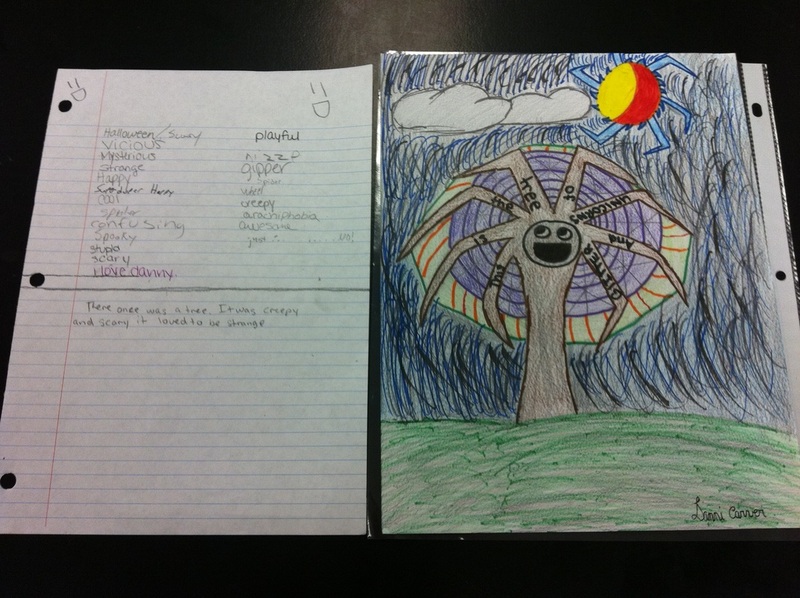 Write routinely over extended time frames (time for research, reflection, and revision) and shorter time frames (a single sitting or a day or two) for a range of tasks, purposes, and audiences.